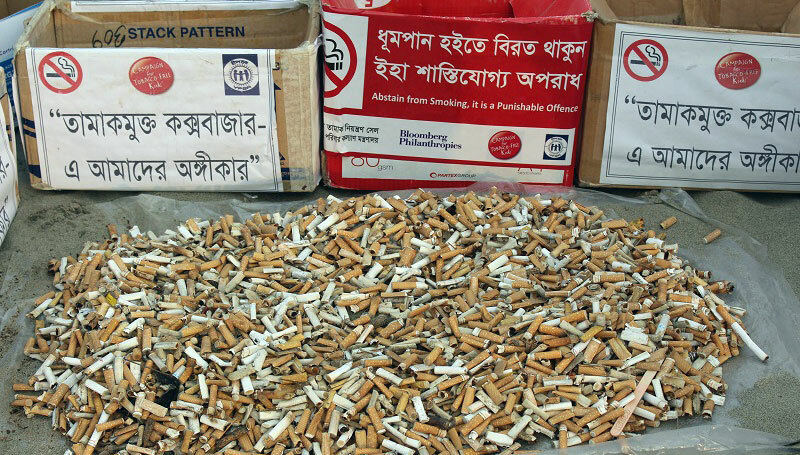 YPSA has been working to establish a model of Tobacco Free City in Cox’s Bazar. The longest beach of the world Cox’s Bazar is the largest tourist spot in Bangladesh. Many tourists around the country and from abroad visit this place every day. As a public place, smoking is prohibited in the sea beach according to tobacco control law. But this beach is not smoke free. 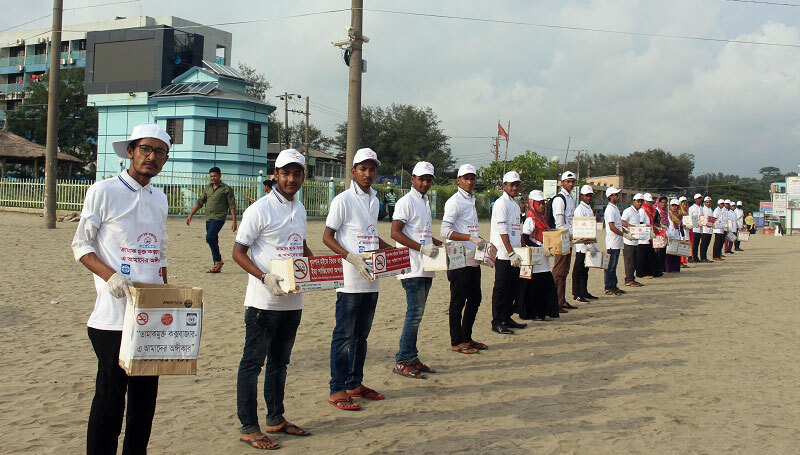 With the aim to create public opinion and create mass awareness for keeping the sea beach smoke free, YPSA arranged a beach campaign on “Tobacco free Cox’s Bazar” on 27th September 2018 on the occasion of International Tourist day’2018 at Cox’s Bazar sea beach with the support of Campaign for Tobacco Free Kids. 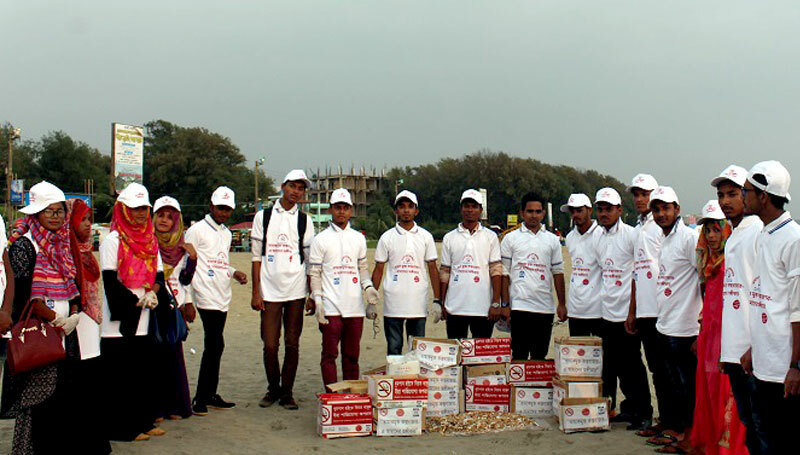 A youth volunteers team consists of 20 members of YPSA involved in the campaign with the slogan of “Tobacco free Cox’s Bazar: It’s our commitments”. 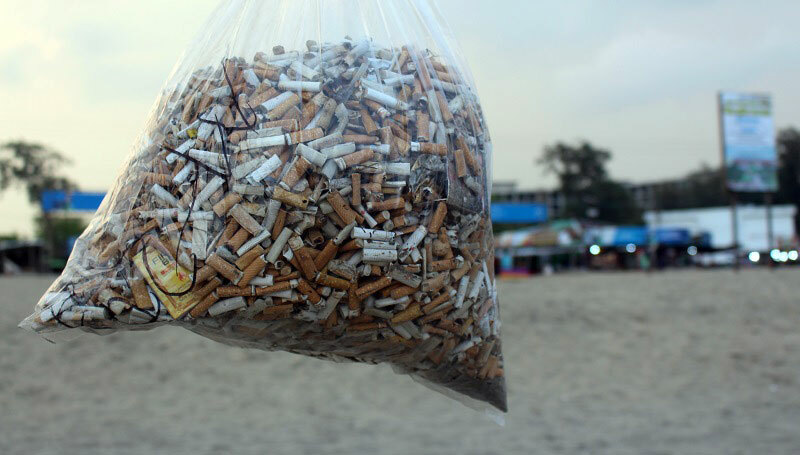 They collected the butts of cigarettes/Biri from the Laboni Point to Sugandha Point sea beach. They also requested the smokers, who were smoking during the campaign, not to smoke at the beach and requested them throw their cigarette butts into dustbin. Youths greet them with a chocolate after leaving their cigarettes and dropping their cigarette butts into trash. The campaign created a huge attention to the tourists of the beach. Mr. Anowarul Hossain, Journalist and Mr. Md. 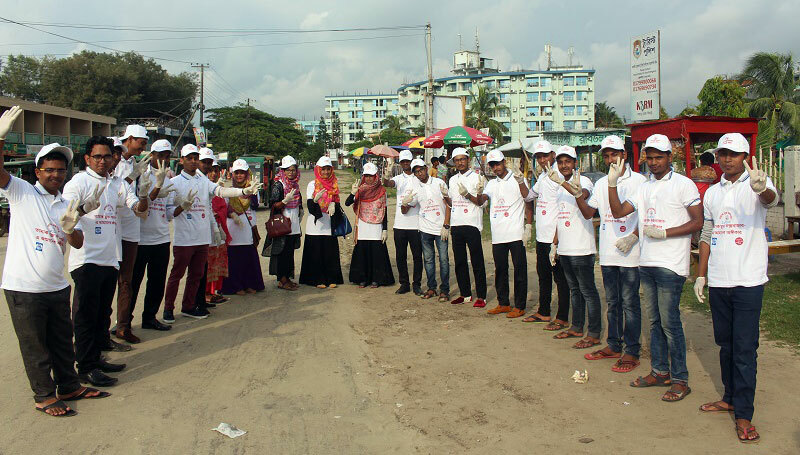 Ariful Karim, Instructor of Hotel Management & Tourism department of Cox’s Bazar technical Institute and YPSA’s Tobacco control team members were present in the campaign.